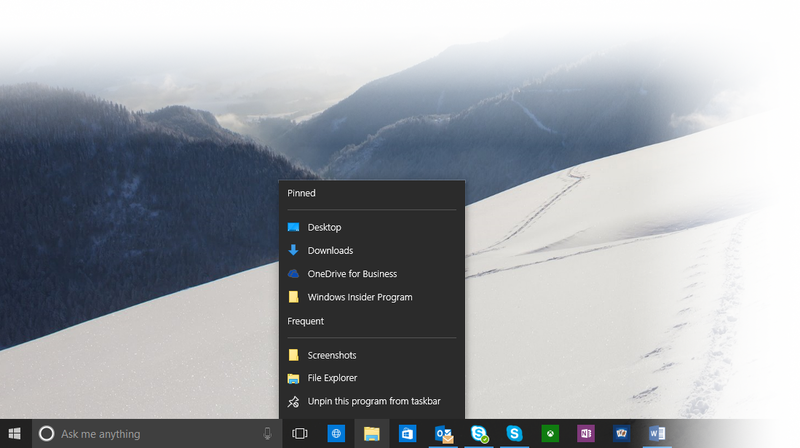 Microsoft continues to polish the scuff marks on Windows 10 with its latest Build 10130. The new build, released Friday for download via the Fast Ring of the Windows 10 Insider program, adds new icons, some default behaviors for virtual desktops and even a manual trigger for the Cortana virtual assistant. There are some more Start menu tweaks, too. Why this matters: Microsoft is well into the “tweaking” stage of Windows 10. Some features still need to be refined, such as the Edge browser, but some of the work now centers around allowing users to configure and personalize their experiences. This helps Insiders settle in to their Windows 10 preview builds, and also lets everyone begin to see what the final look and feel of Windows 10 will be. As we began to see with Windows 8.1, Microsoft is providing more and more configuration options for the Start menu. As before, the new Start Menu in Windows 10 combines the Live Tiles and menu options of both Windows 8 and Windows 7. 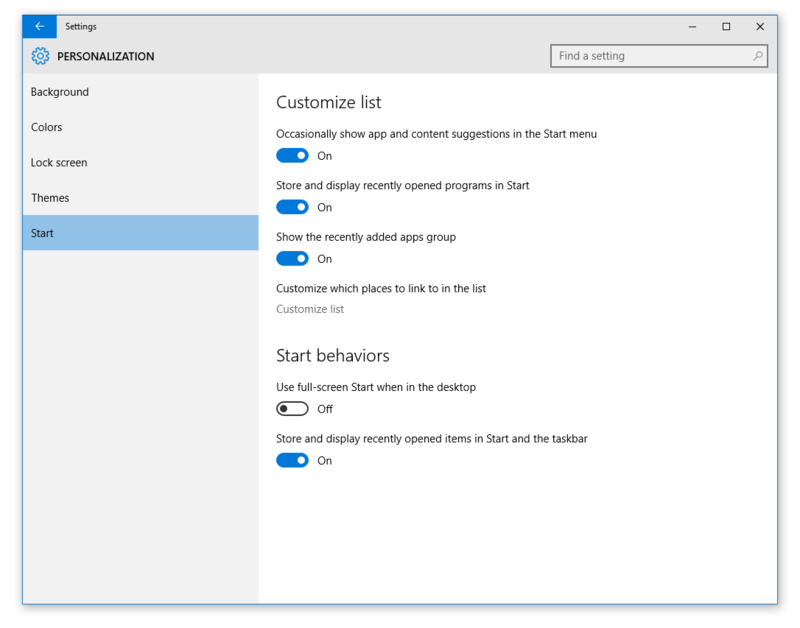 What the Start menu offers now are the choice to turn off and on app suggestions, recently opened apps, and even to jump right to the full-page Start menu at launch. Likewise, Microsoft has declared a winner in the layout for virtual desktops, which group windows and apps in standard layouts that can be switched out. The debate concerned which apps were shown in the taskbar below: every app running on the machine, or just those within the desktop itself. The latter, “filtered taskbar” won out, and is now the default behavior—but fans of the alternative can change it via the Settings app > System > Multitasking > Virtual Desktops. You’ll also find that the app menus have returned to the tablet mode of Continuum. That particular feature was demanded by Insiders, Aul said. Users can now unpin the Cortana menu in the Microsoft Edge browser, as well as the Favorites pane and Reading pane, too. Just look for the little pin icon to the upper right. Meet the new Windows 10 icons. Don’t expect things to remain the same, though—Microsoft plans to iterate new icons even as it tweaks other features. Likewise, Microsoft also tweaked the new “jump lists” on the taskbar, which explode out with options when you click on them. The new jumplists in Windows 10 Build 10130 look rather handsome. Finally, there’s the new Cortana button: the WIN key + C. Microsoft positioned this as an option for keyboard users, and that’s plausible. It might also be an option for those who lack modern PC hardware and an active mic—or an acknowledgement that the “Hey Cortana” active-listening feature needs some tweaking. Click the Windows button +C to trigger Cortana. Other improvements include allowing movies to be played back in the Movies & TV app in full screen, as well as a new Print to PDF function. Are there bugs? Sure. Wi-Fi connectivity issues have been reported, Aul wrote, and may require a restart. The Mail app may crash and not sync mail properly. Aul also said that the recent Build 10122 won’t be pushed to the Slow ring, due to a bug (which I experienced) that gave some users fits when trying to upgrade to the new build. In all, however, Windows 10 continues to become more refined. Aul said the company is still on track for a summer launch, which is looking more and more like July.